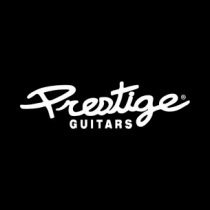 Vancouver, Canada is home to Prestige Guitars headquarters. We manufacture both solid and semi-hollow body electrics as well as an exclusive line of hand carved acoustic guitars. From day one, our goal has been to create an instrument that is essentially a custom guitar, straight off the rack, but with a price point that will appeal to players of all levels. In order to make this happen, we set about developing a completely unique manufacturing platform and forged alliances with some of the top component manufacturers including Seymour Duncan USA pickups, Bigsby tailpieces, Grover tuners and Tonepros bridges. Whether you are on stage, in the studio or at home honing your skills, your Prestige Guitar will ensure that you sound, feel and look your best, each and every time you pick it up. You want your sound, your tone to be as individual as you are. That guitar should have a neck profile that feels just right and an aesthetic that matches your style as a person and as a player. It should be an extension of you and feel like it was home the first time you sling the strap over your shoulder and let a chord ring from your hands. For the past 13 years, we have created guitars with the artist in mind.